Stop wasting the good stuff. Bacon is a wonderful thing. Whether you like it melt-in-your-mouth crispy or slightly chewy, there isn’t a thing wrong with it—unless you dump the fat after cooking. Please don’t say pour it down the drain, because that’s just a complete waste (and will clog your drain). After frying bacon, pour the liquified fat into a clean glass jar to use later. You can use the fat to scramble eggs (instead of using vegetable oil or butter) or fry up some toast for an extra bacon-y flavor, but why stop there? Here are 5 new ways to use bacon fat that’s sure to make your tastebuds sing! 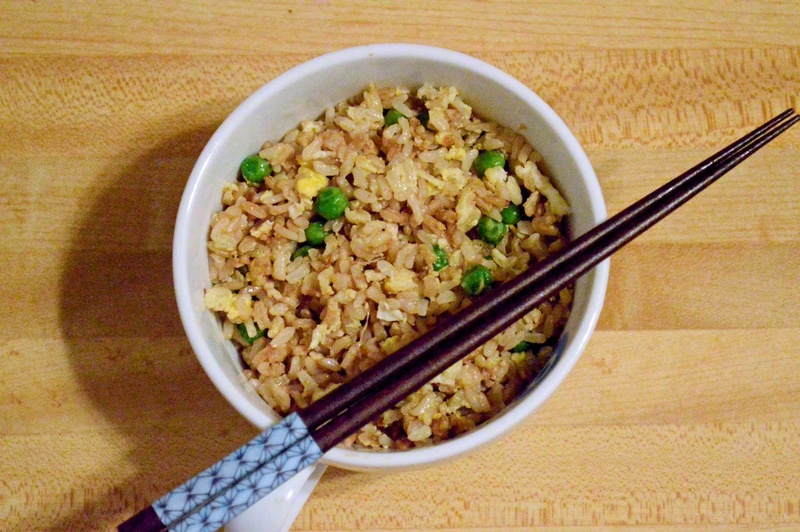 Fried rice is a really simple dish and doesn’t even require a wok. Heat the bacon fat in a frying pan and add the shallots. Cook the shallots until translucent and fragrant. Add the frozen peas and any other vegetables you’d like, cook until tender. Pour the lightly beaten egg over the rice, stirring constantly so that the egg coats the rice. Add in the salt, pepper and soy sauce to taste. 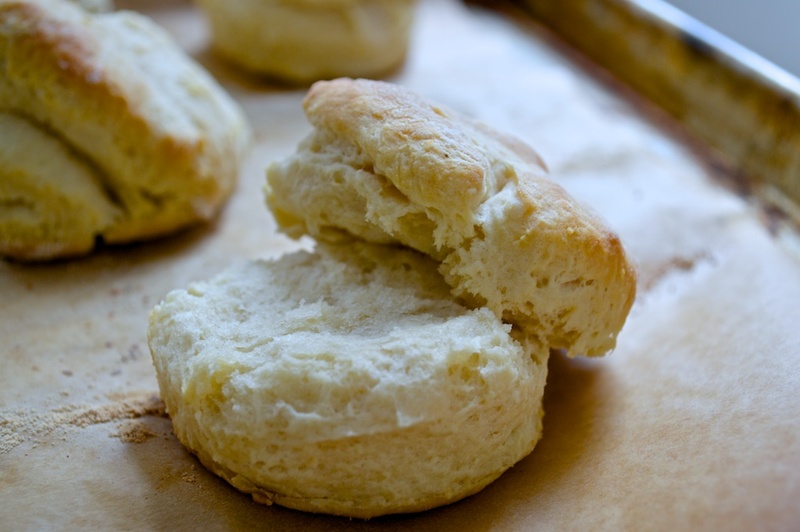 Biscuits are absolutely delicious and by incorporating the bacon fat, there’s an added layer of saltiness and flavor. These biscuits are great paired with pulled pork or a simple soup. Add the butter and the bacon fat. Cut in the fat and butter with two knives until the butter and the bacon fat are the size of peas. To “cut in” fat, hold two butter knives so that the blades are facing down and the sides are touching. Pull the knives away from each other and repeat until the solid fat reaches the desired size. Pour in the buttermilk and stir to combine. Transfer the dough to a floured surface and pat into a rectangle about one quarter of an inch thick. Fold the dough over itself into thirds by bringing one side of the dough a little past the center of the dough and repeat with the other side. Pat out the dough into a rectangle about a quarter of an inch thick. Cut out biscuit shapes with a round cookie cutter or a drinking glass. Beat the butter, bacon fat and sugar until nice and fluffy. Add in the egg and vanilla extract and mix until well combined. Add in the all purpose flour, the baking soda, baking powder and the salt. Mix to combine. 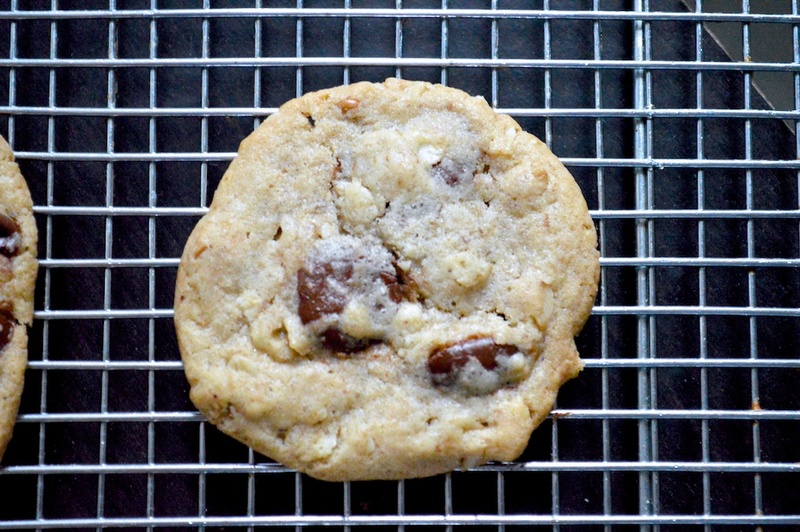 Using a spoon or your hands, roll the cookie dough into balls about an inch in diameter. Place on a cookie sheet. They will spread, but you can probably fit about 12 to a cookie sheet. Bake for 12 to 15 minutes or until the edges are golden brown. 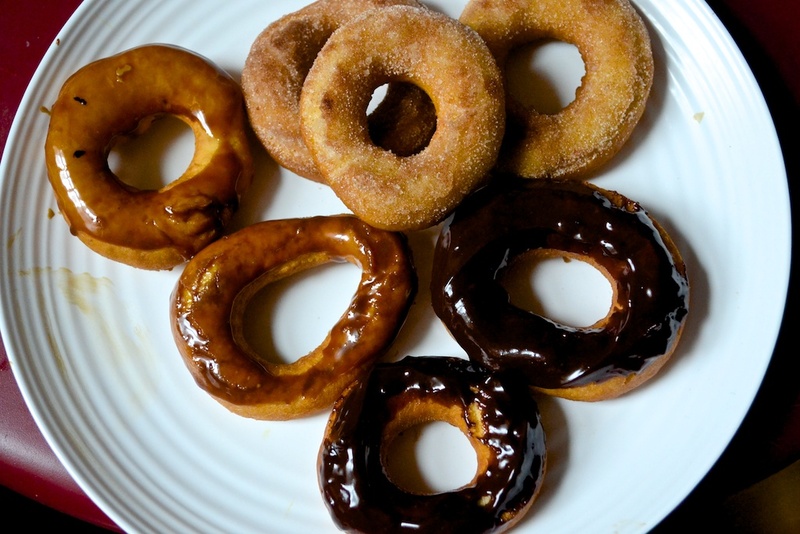 Homemade doughnuts are pretty simple to make and don’t take long at all. You can barely taste the bacon fat in these, so don’t worry about a strongly bacon-flavored doughnut. In a large mixing bowl, beat together the sugar and the egg. Add the milk and bacon fat and mix until well blended. Stir in the dry ingredients (flour, baking powder and salt). Wrap the dough tightly in plastic wrap and chill for 30 minutes. Roll out the dough to about 1/2 inch thick on a well-floured surface. Cut out the doughnuts using a large round cookie cutter or a drinking glass. Cut out the doughnut holes with a slightly smaller round cookie cutter and allow to dry for 10 minutes. Meanwhile, pour the oil into a pot and heat it up. You’ll know it’s ready once you press the edge of a wooden spoon against the bottom of the pot at a 45° angle and see a tiny stream of bubbles traveling to the surface, or when a instant read thermometer reads 365 °F. Drop in the doughnuts 2 or 3 at a time, flipping them when they brown on the side. Once both sides are golden brown, remove them from the oil and let them rest on a cooling rack. To make clean up easier, place the rack in a roasting pan lined with aluminum foil, parchment paper or paper towels. Once all the doughnuts are fried, drop in the doughnut holes and fry them until they’re golden as well. For the cinnamon sugar topping, mix together the sugar and the cinnamon in a bowl. Melt the butter in another bowl. Dip the doughnuts in the butter and then coat with cinnamon sugar. Let them sit on the rack until the butter and sugar set. For the chocolate ganache topping, heat the heavy cream in a small saucepan. Stir in the chocolate until smooth. Spread the ganache on to the doughnuts or dip the doughnuts into the ganache. For the coffee glaze, heat the heavy cream in a small saucepan. Add the espresso powder and the powdered sugar and stir until smooth. If the glaze is too thick, add a dash of heavy cream. Spread the glaze onto the doughnuts or dip them into the glaze. Melt the bacon fat into a small rimmed pan or pot. Make sure you have a tight fitting lid. Drop in a kernel of popcorn, cover the pot with the lid and wait for the kernel to pop. Once it pops, add the rest of the kernels and place the lid back on the pot. Shake the pan occasionally, so that none of the kernels burn. Once the popping slows, (there should be 1 or 2 minutes between pops), remove the pan from the heat. 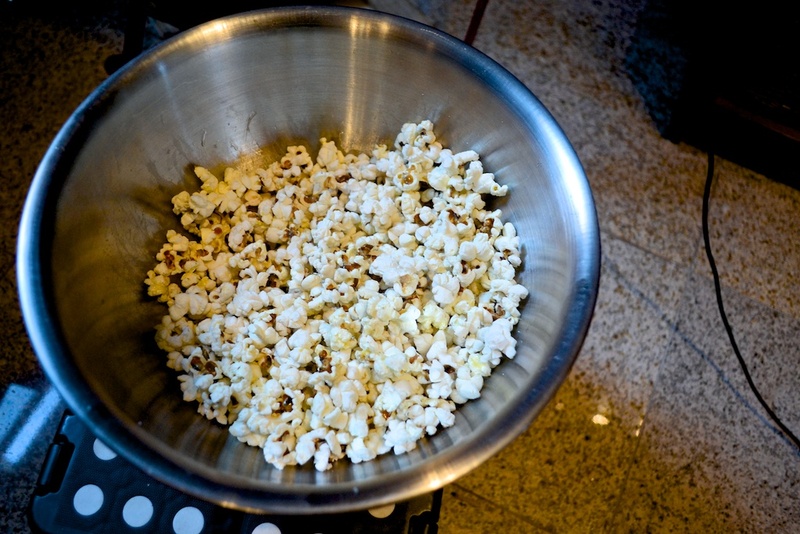 Pour the popped corn into a large mixing bowl, pour the melted butter over the popcorn and sprinkle with salt. Toss to coat.